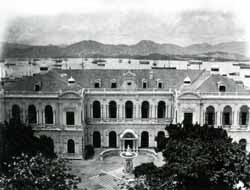 Leding by the Ching Dynasty failed attempt to stop the British trading in opium, under the Teaty of Nanking in 1842, Hong Kong, being ceded to Britain, was just a collection of a small fishing village, there were some simple homes and few ships in the harbour, with merchant ships coming from all over the world, everything changed. Merchant came to open shops, hotel, restaurants, banks and trading companies. 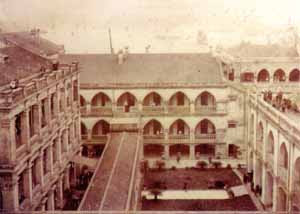 In the 1970s to 1990s, there are many smaller factories and trading companies in the city. 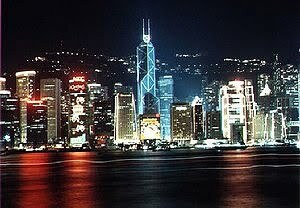 The main industries in the Hong Kong area include garment manufacturing and electronic accessories producing. 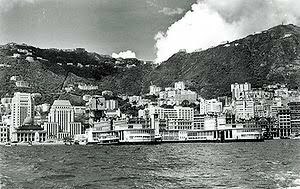 In fact, For finding the new life, a lot of people from the mainland China moved to Hong Kong after the World War II, where suddenly grew rapidly into a busy city, in not more twenty years, its population went from 3 million to over 7 million. 95% are Chinese, the rest are foreigners. Don't take this as a directive to obsess about grammar ~ or fuss over it when you should be writing drafts and concerned with content and organization. If you can identify, recognize and fix your own most common errors, that will take care of 95% of writing mistakes. Don't sweat the other 5% unless they interfere with meaning. You will also find that your error patterns are not as unique as you may think ~ most will fall into "most common" categories. 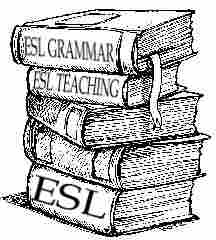 Students will find English grammar help for their most common written grammar errors in selected grammar websites. The list is organized according to grammar and punctuation errors commonly found in students' and adults' writing. The oldest daughter is sixteen years old and the youngest daughter is fourteen years old. Japanese samurai kill their enemies with arrows. The Japanese daughters at the string shop kill men with their eyes. This poem is used to teach Japanese students how to write a proper essay. Japanese essay style is made up of the "ki" (introduction), "sho" (development), "ten" (turning point), and the "ketsu" (conclusion). The cultural nature of writing makes teaching and evaluating it very difficult and learning to write in a new culture is one of the most difficult things about learning a new language. In some cultures, you only give main ideas and let the readers supply details. Other cultures will only give small details and let the reader decide the main idea. Other cultures take a long time building up the relationship between the writer and the reader before coming to the main point. In the Japanese style, the "ten" is used to get the reader's attention. American style is to give big ideas up front, provide the details and examples, and to repeat them again and again; the reader has few responsibilities. This site is a document written as a kind of 'how to' for online writing students. It is important, especially in short online classes but also in any writing class, for students to realize that they need to plan out their work carefully, identifying as specifically as they can when they can fit their work into often hectic schedules. Students also ~ mistakenly ~ minimize the importance of both discussion and revision. In an online course for credit, students are more or less forced into discussion because it is a large % of their course grade. When there is no grade or credit, students feel than participation and writing discussion is not important. Of course they (you) will not get bad grades for not discussing or revising: nor will you learn how to write. No matter what you write, whether it's for a college class on creative writing or for a novel you've finally found time to get around to, having some tools to make the process a little easier is always a welcome prospect. This list brings together a wealth of just those kind of resources, all found online and all free to use, so you can concentrate on being creative and producing the best writing you can. Word Trivia ~ vocabulary building and word fun for everyone.